It took 3 days to install the floors. All the windows are trimmed and Sam and I started the tile in the bathrooms. Take a look. 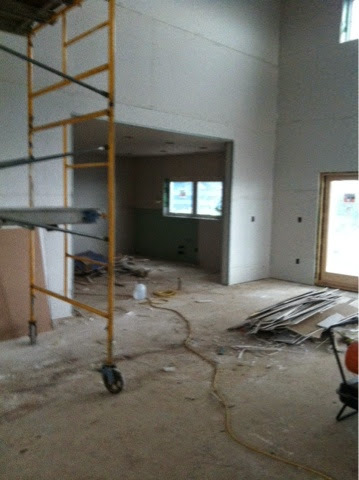 In 2 weeks the cabinetry will be installed and countertops will be templating! 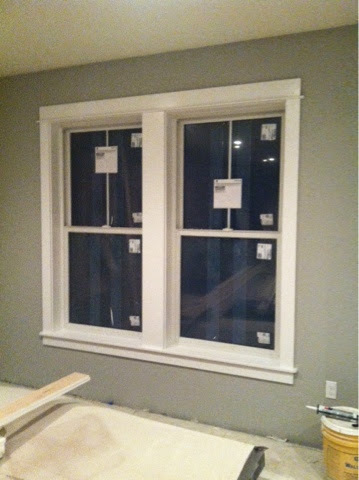 I learned how to caulk and think it's pretty fun so I did all the upstairs windows and some of the downstairs including the threshold and doors. Hardwood floors are a natural white oak. 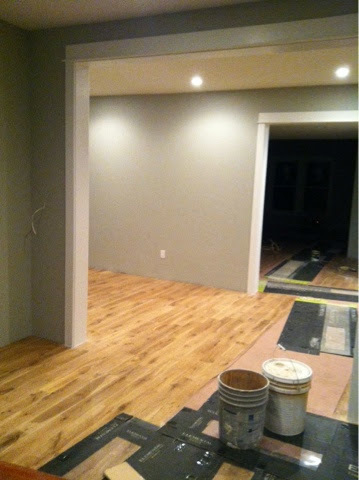 Our wall color for the interior is Repose grey. 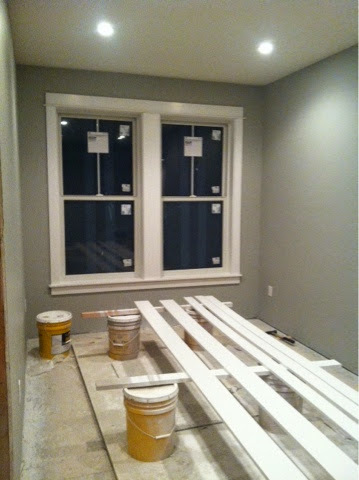 We finished painting the interior last weekend and started triming the windows. 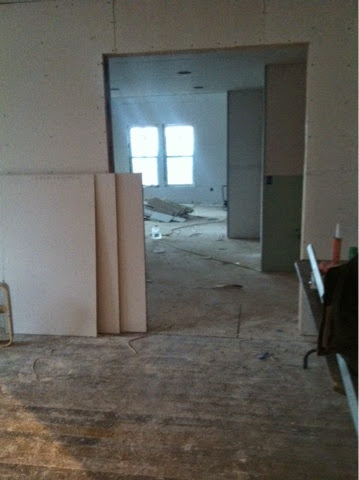 Things are really moving fast.... Next week, hardwood floors! 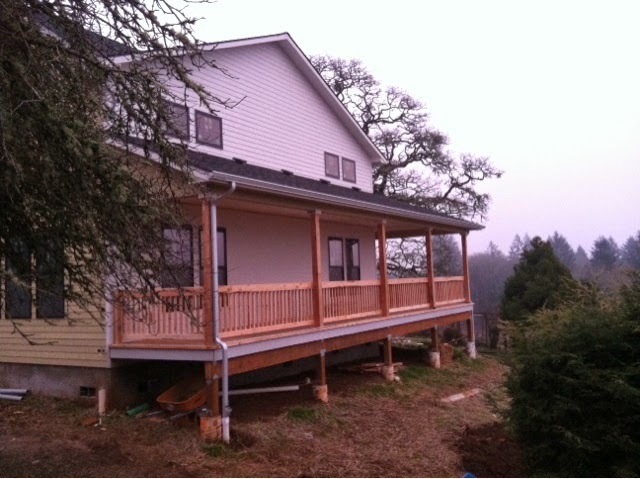 Today we built the deck. We are checking things off the list! 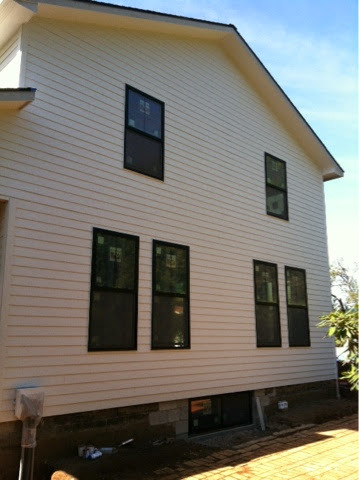 Since the last post all the exterior work is done with the exception of painting on the front side. 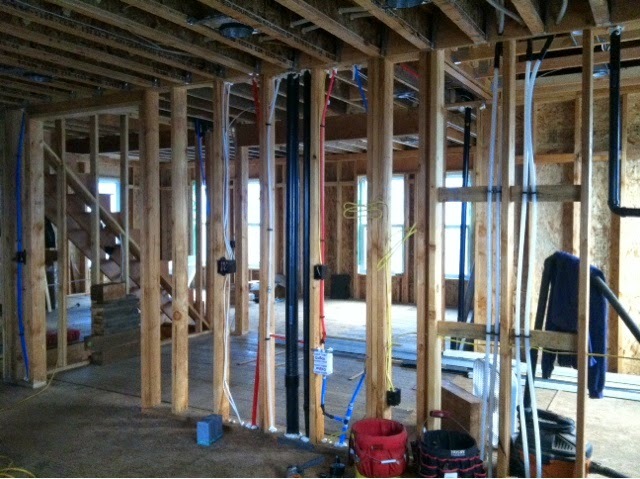 With the help of a few family members and friends, Sam and I have been working on building the guts of the home. 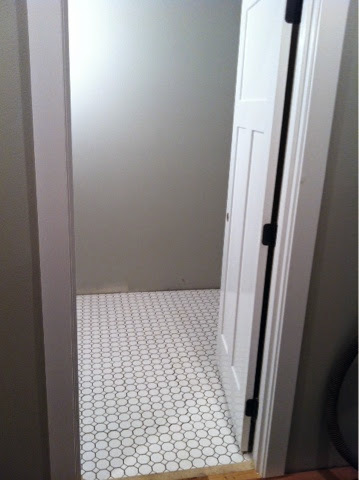 It took a little time but all the plumbing, venting and radiant heat is finally done. 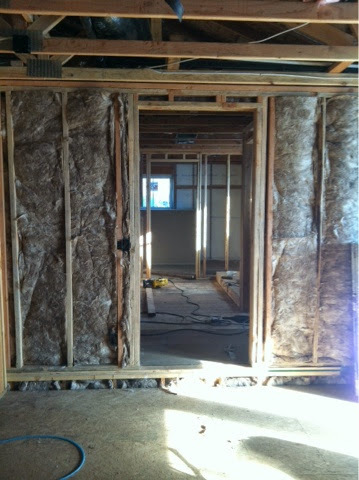 This last week we insulated and started Sheetrock....it's starting to look like a home! Here's photos since August. 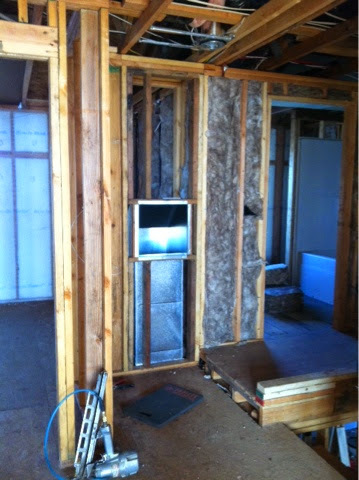 For insulation, we chose blown in blanket system to give us a better R value and we sound proofed all the bathrooms, laundry and master bedroom. 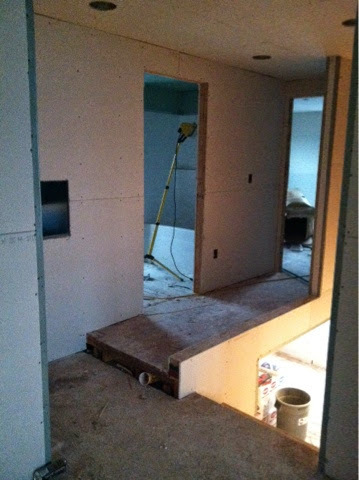 Here are some more pics with insulation then Sheetrock. 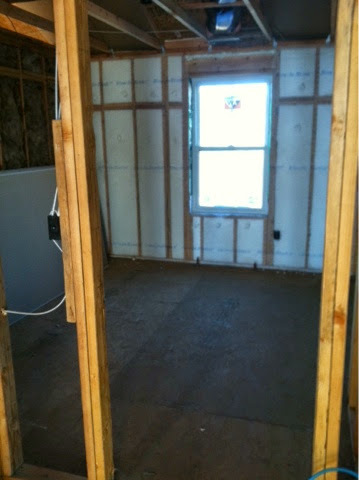 Looking into master bath and closet in the back. 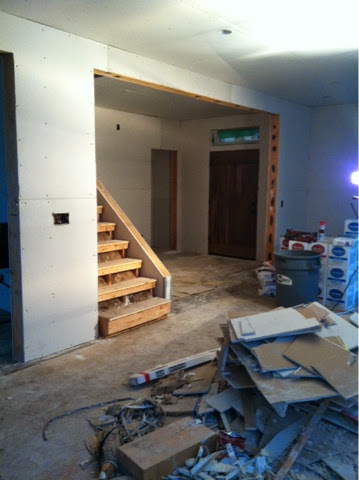 My goal is to post each week to 2weeks since there will be major changes that occur with finishing the house. 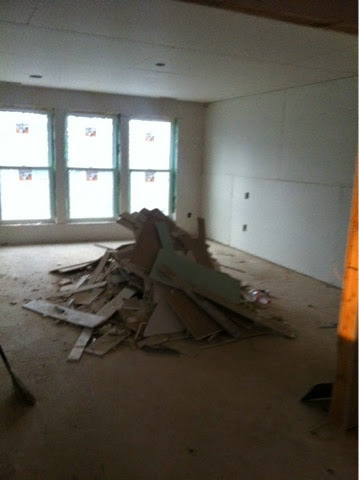 We are looking forward to completing the project and finally moving in!!! 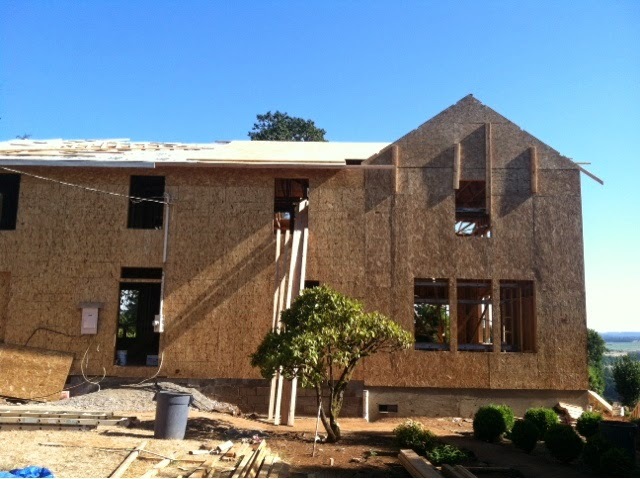 Pump house, windows and roof, oh my! 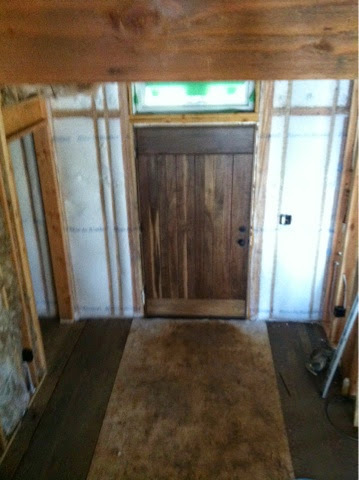 Big changes are taking place on the homestead. Our windows arrived about 2 months ago and the suspense has been killing me. 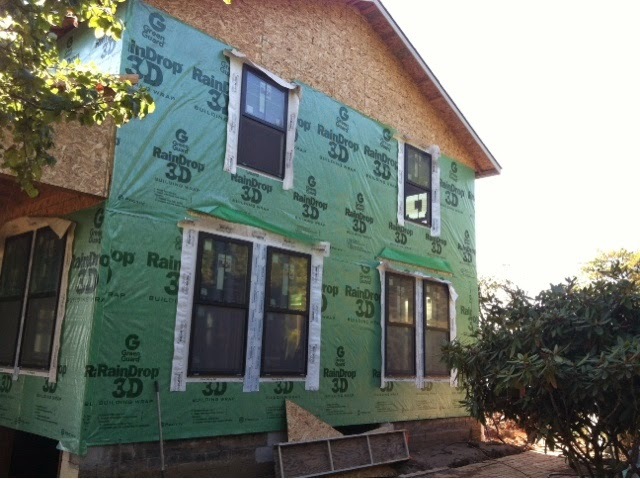 This week was so exciting to finally see them, we chose to go with Anderson fibrex windows due to black exterior color option. We tore down the old pump house and built a bigger one that will also house the 6000 gal holding tank. Time is flying by and we are trying to prepare for fall and winter ahead. 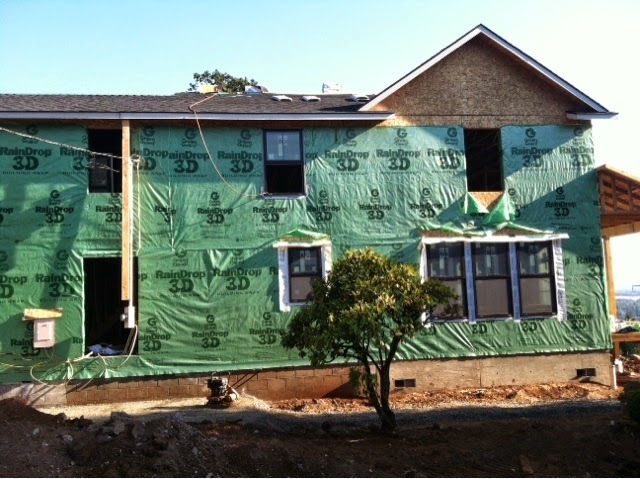 The crew will start siding and that will wrap up the work for McHenry Remodeling. 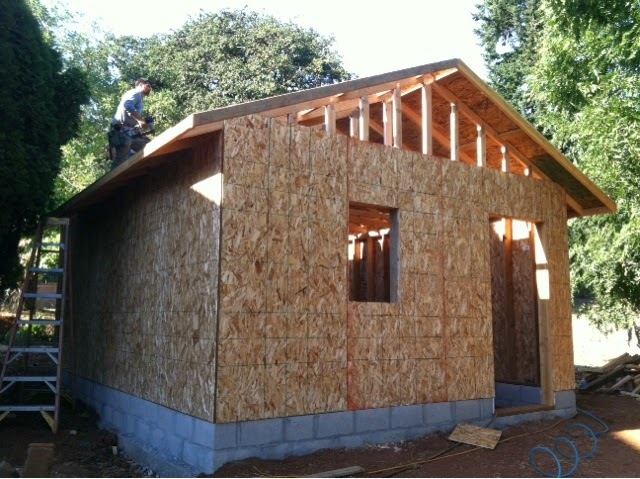 The trusses were placed and the front dormer was built this week. It's so exciting to see our vision start to come to light. 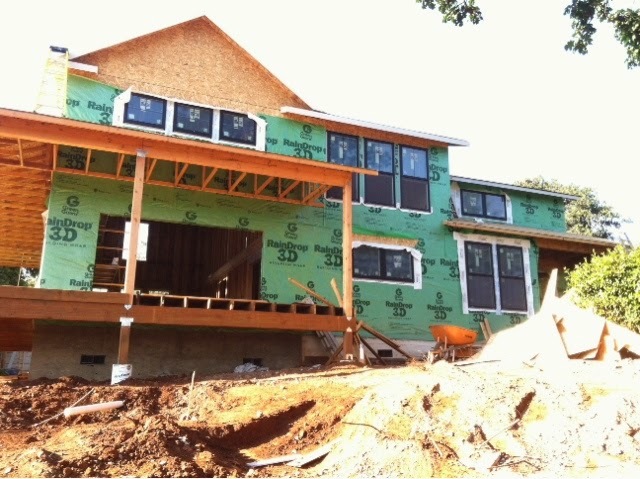 The windows should be installed by the end of this week, our modern farmhouse is starting to take shape. 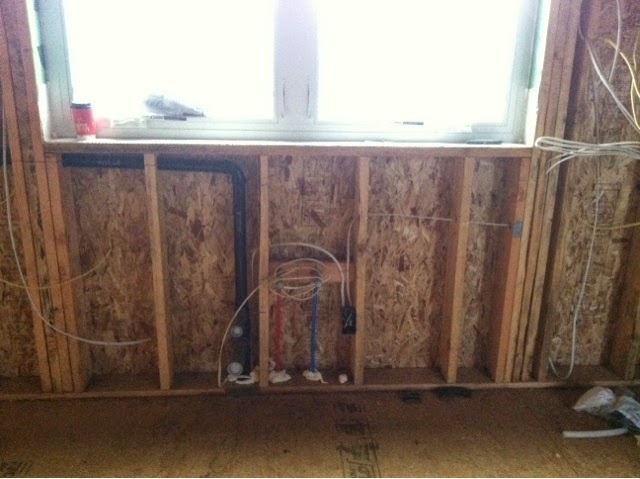 Sam and I placed all the rain drains and conduit for the power this weekend.